A Reader's Adventure! 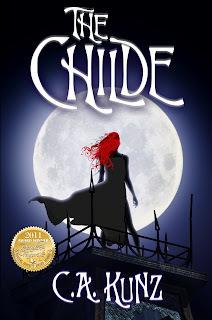 : The Childe by C.A. Kunz review + giveaway! The Childe by C.A. Kunz review + giveaway! Cat Colvin is pretty much your typical run-of-the-mill teenager. Sure, she’s taller than most girls, has a mane of fiery red hair that’s impossible to tame, is left-handed, and her eyes are two different colors, but that’s where the differences end... unless you include the minor detail of her slow transformation into a Childe. High school can definitely be challenging, and for Cat it’s no different. This is especially true when she’s faced with the daunting task of trying to hide her budding Childe traits as they begin to reveal themselves at the most inopportune times. To make matters worse, her family is oddly dead set against Ryan, the boy she grows to like. But everyone has their secrets: is Ryan really what he seems to be, and what is Cat’s family not telling her? 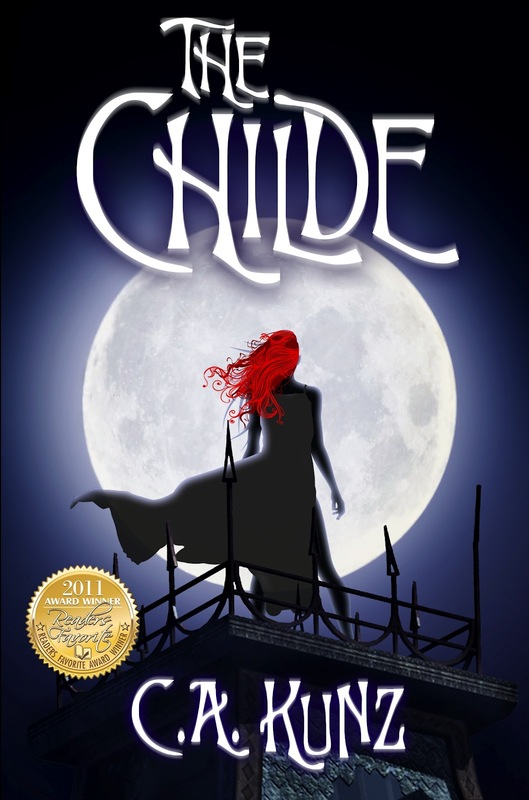 The Childe is the first book in this coming-of-age fantasy series which follows Cat's life through the twists and turns toward finding out whom and what she really is. Come and take the plunge with Cat into a world filled with mystery, biting humor, and the paranormal. Review: I don't typically review self published books but I do make exceptions if it is from an author I have worked with before or through a publicist I have worked with before. Because of this I was really excited to find that The Childe is an example of a well done self published book. I enjoyed getting to know Cat. She is a regular 15 year old with a penchant for horror novels, and I felt that she was very realistic and besides the whole Childe thing I felt like I could have gone down to the local high school and met someone similar to her. I also really liked Cat's group of friends they were all so different and really added a nice dynamic to the story. I also liked the fact that Cat's parents were involved, I mean they had some idea what was going on ( more than Cat) but I liked how they worried and acted how any other parents were, not all AWOL like other YA parents. As for the plot it was very interesting, I found myself wanting to know what was going to happen next. My criticism would be the fact that I would get a little snippet of info that would just make me even more confused and lost. I wish in that respect the introduction to information had been a little bit smoother because I found myself lost for some of the book. Thankfully some of my questions were answered by the end and I could see what the author was trying to accomplish. But other than that I was very happy with this book. This is a good paranormal read that is new, fresh and interesting! Check out a guest post by the author here, and scroll down to enter my giveaway! Thank you so much for that wonderful review Mariah! We're so happy to hear you enjoyed The Childe :) Thank you for being a part of the tour. I must agree this book kept me wanting to know more, and it had a different spin on the mythical monsters we all know and love. You are correct about Cat's friends and family, they round out the story nicely and give a sense of realism to the story! I'm completely in love with this series and can't wait to see what happens in Wicked Darlings! Cat and her group of friends sounds like they bond well together. They'll keep me interested in the story.